5 Tips to Pick the Right Flooring for Your Stairs - Stair Star Inc. 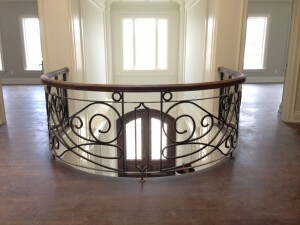 The staircase is more than a way to get yourself from the main level to the upper levels of your house. 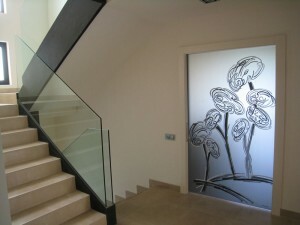 They can be a statement piece at the entrance of your home. 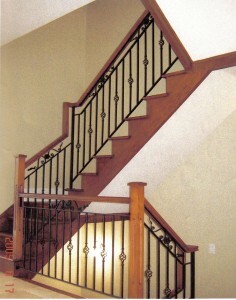 Your stairs can have a unique design that adds another element to the theme of your house. 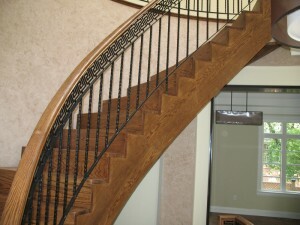 Every aspect of the staircase matters for the overall looking and design of the stairs, including the flooring. Deciding on what type of flooring to put down on your stairs isn’t always an easy decision. We have five tips to help you decide on the right flooring for your stairs. One of the first things to ask yourself is how much traffic will the staircase see? If it’s a busy area of the house, you’ll want something that is easy to maintain and can withstand the traffic. Going for carpet will stand up against the wear and tear of walking, but you’ll have to vacuum the stairs to keep it clean. Vacuuming stairs isn’t an easy task. Hardwood now only looks nice, but it is also easier to keep clean. A simple daily sweep will keep the wood shining. The downfall, it’s easy to scratch. You could go for laminate, which tends to be quite durable and can resemble hardwood flooring quite well. The safety of the staircase is another top priority to think about. Hardwood may look nice. However, it can get slippery very quickly. Carpet would allow people to grip better as they walk up and down the stairs. Here’s one aspect that many wouldn’t think about – the noise level on the stairs. Hardwood stairs will likely be the noisiest out of them all. Laminate can absorb some of the noise from walking, but only if there is an underlayment to create a sound barrier. Carpet, though, will help lower the volume of each step. You don’t want your staircase to stick out in the wrong way compared to the rest of the house. That doesn’t mean if you have only hardwood flooring in your house that you can’t have carpeted stairs. It does mean, though, that you want to pay attention to the colours you choose so that at least those blend together. When you take a look at your staircase to picture what type of flooring you want, look form the bottom up, and not the other way around. You get the most visual impact of the stairs from the bottom step. If you’re trying to match the flooring, consider the main floor flooring before the upper levels. It can get overwhelming when it’s time to decide on flooring for your staircase. However, it doesn’t have to be. We can help you pick out the best flooring for your staircase, no matter how it looks. It’s important that you take the time to pick the flooring you like the most so that it will last for years to come.